This site was created for people who love the classic Wolfenstein 3D game. On here there are four sections News on my site and and tc progress. My Addons which I made. Source Code for anyone who wants questions anwsered or just tutorials on something and Links to other sites. 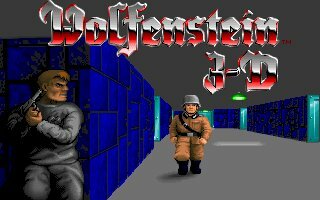 This site is dedicated to the fans of ID Software's Wolfenstein 3d, the godfather of first person shooter. 11/26/2017 - Due to lack of storage on this site, I will be deploying an ftp server to better serve you...Stay tuned!